Wild, unmanaged bees are the most important pollinators of native plants. They also play a crucial role in the pollination of our food crops. 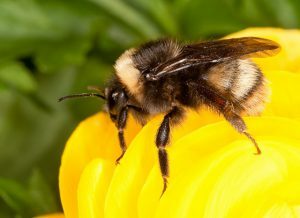 But like the imported European honeybee, native bees are in trouble. Their populations are in decline due to habitat loss, pesticide use, disease, and other factors. Gardeners can help preserve native bees by creating a welcoming habitat in their back yards. Of course, if you’re contributing to a conservation effort, it can help to know a little bit about what it is you’re trying to conserve. In the latest issue of the Arboretum Bulletin, Hillary Sardiñas—Pacific Coast Pollinator Specialist for the Xerces Society for Invertebrate Conservation—profiles of some of the major bee groups in our region. She also provides handy tips on bee-friendly gardening. ← See Photos from ArbFest!